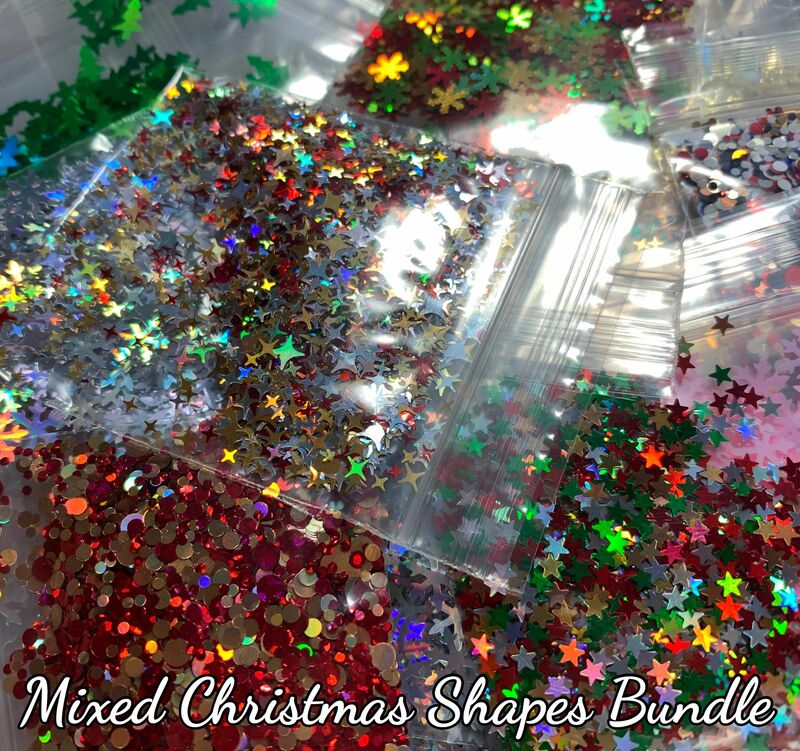 Mixed bags of Christmas shapes - you will receive 5 x bags of Christmas shapes, these will be a mixture of Snowmen, Stars, Dots, Galaxy stars, Christmas trees & Snowflakes selected at random. Each bag will weigh between. 1-3 grams.